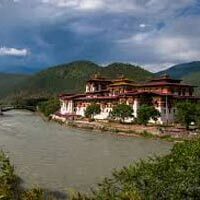 You will be received by the representative from Bhutan Eden Holidays and taken to Thimphu. Visit Tamchog Monastery on the way. Check in a hotel in Thimphu. Then visit National Memorial Chorten, a monument dedicated to the Third King Jigme Dorji Wangchuck of Bhutan. The paintings and statues inside Chorten provide a very rare insight of the Buddhist philosophy. In the evening visit Tashichodzong –the fortress of the glorious religion built by Shabdrung Ngawang Namgyal in 1641. This is the centre of the government ministries and religion. It houses the “Throne of the King” and Central Monastic Body. Excursion to Khamsung Yuelley Namgyal Choling Monastery, a stunning monument built by the Queen Mothers and consecrated in 1999. 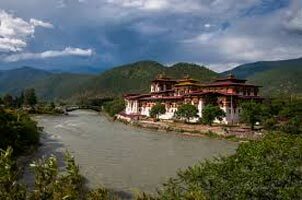 In morning, visit Dechenphodrang and Pangri Zampa monasteris. Then visit Dupthop Lhakhang, a nunnery in Zulakha. After lunch, visit preservation centre of Takin-national animal of Bhutan and Crafts Baazar In the evening drive to Paro. In the morning, drive to Satsham Chorten and then walk along the uphill slope to Tiger nest. Taktsang was built in 1684 by the Penlop of Paro, Gyaltse Tenzin Rabgay; this incredible monastery clings to the edge of a sheer rock cliff that plunges 900 meters into the valley below. In the afternoon, visit the Ta dzong, an ancient watchtower, converted as National Museum of Bhutan in 1967.Visit Rimpung Dzong (Paro Dzong) built in 1646 by Shabdrung Ngawang Namgyal and now the district administrative centre.